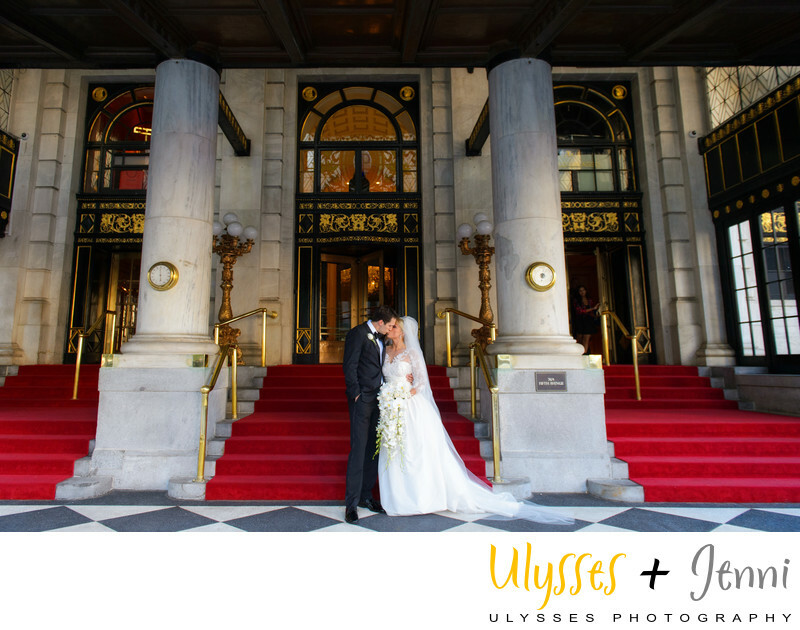 The red carpet and grand architecture of the iconic Plaza Hotel NYC was the perfect setting for this portrait. This Manhattan bride has a love of all things quintessential New York. What better place to book a bridal suite and get dressed for the most special day of your life? The best part is that you can them use the stunning outdoor staircase for family and bridal party portraits. Win-win!